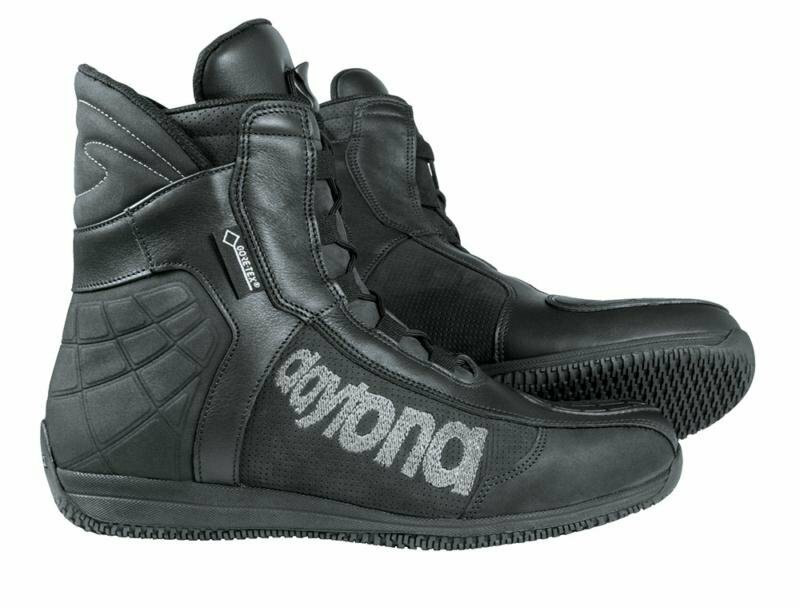 New for 2018 the DAYTONA AC Dry is a high quality Gore-Tex trainer made with a mix of nubuck, smooth and perforated leather to make it extremely comfortable. This boot has quick release shoe laces making the AC Dry nice and easy to get on and off. This fully waterproof boot uses Gore-Tex’s “More Season” membrane meaning it’s waterproof and breathable, comes with a 2 year waterproofing warranty from Gore-Tex and a 1 year warranty from DAYTONA. The AC Dry is CE Approved with ample protection all round, abrasion resistant to twisting yet still easily rollable thanks to the plastic reinforced sole with a hot galvanized steel insert.